Fitness Friday: Swimming, of course! During these steamy summer months, many families take the plunge to cool off in a community swimming pool, a pond or river, the ocean or even in a backyard kiddy pool. 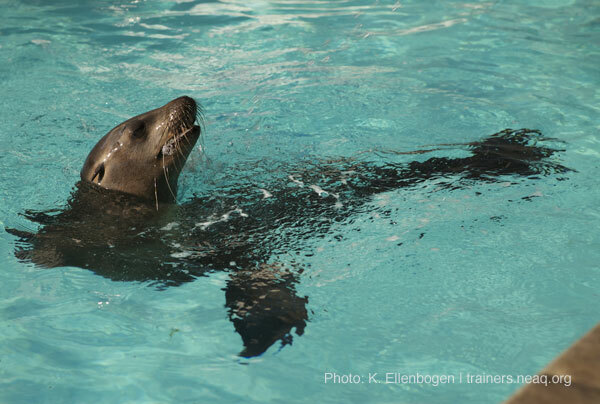 There's just nothing like splashing around in the water to cool off! 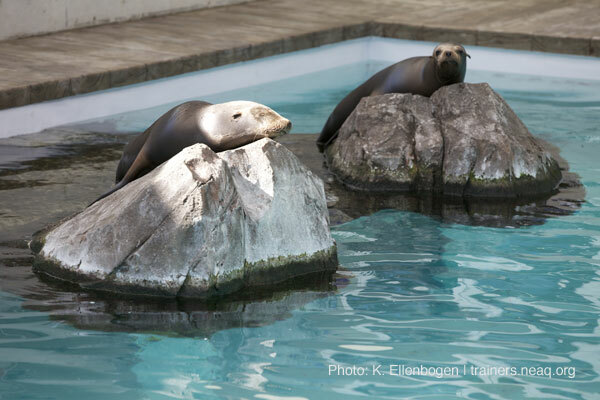 Zoe and Sierra—our mischievous and energetic sea lions—know that, too. 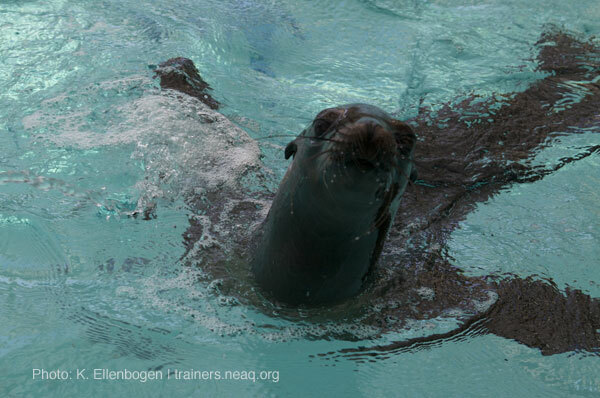 You can usually find them loafing around the New Balance Foundation Marine Mammal Center, cavorting and porpoising in the pool. Swimming is, in fact, a great way to get exercise, too. Just think about Michael Phelps! If you've seen them zip through the water, you know these gals are expert swimmers. 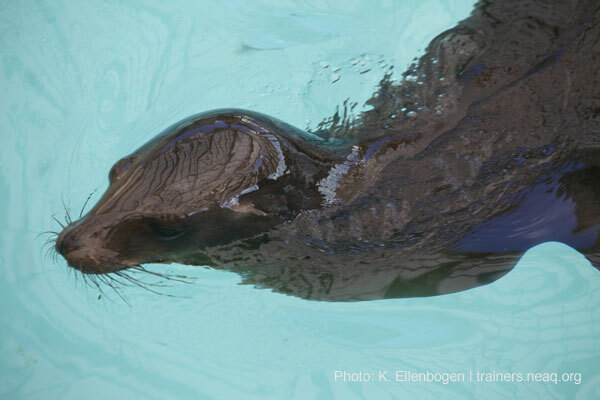 Sea lions learn to swim when they're only a few weeks old, and they grow up to be among the fast marine mammals in the oceans today, reaching speeds of up to 25 miles per hour! They have to be speedy to stay one step ahead of predators in the wild.